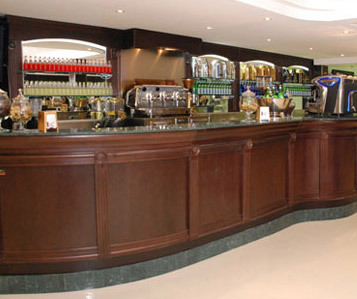 We provide a one-stop shop for anyone looking to create an authentic Italian image for their cafe, restaurant or deli. From premium 100% Arabica coffee, to professional espresso machines, mineral water and gelato, our offering extends far beyond our products to our technical expertise and know-how. We offer fully certified coffee training to our customers, even shop fitting assistance to help you create an authentic Italian feel for your outlet.